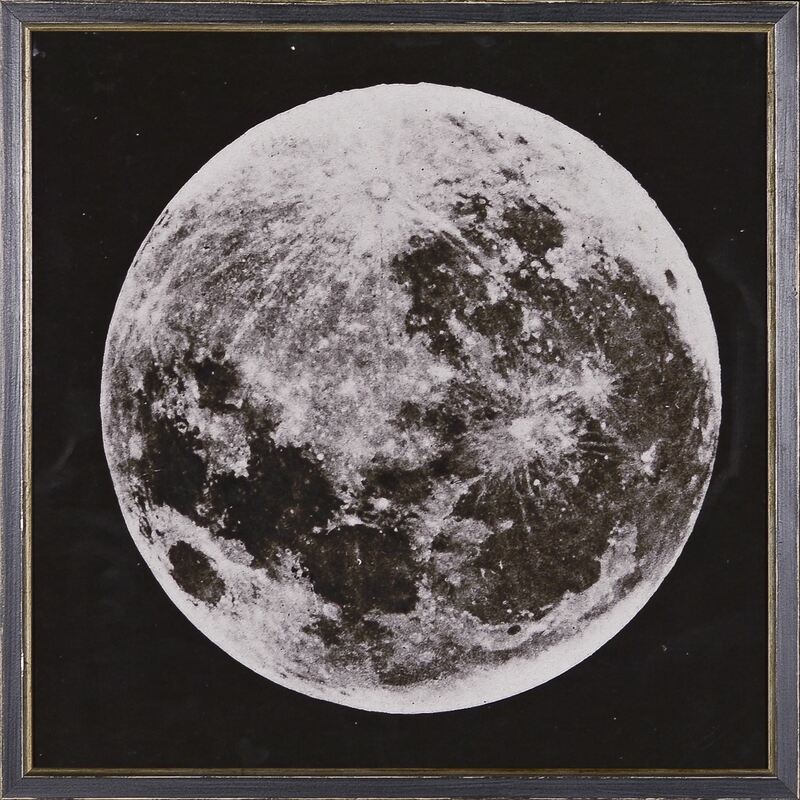 Antique photographs of the moon phases. Warren De La Rue was a British astronomer, chemist and inventor who perfected the use of stereoscopic plates to photograph the moon, sun and solar eclipses in incredible detail for the first time. Superb 1860s retro styled images of the moon phases. Each is framed in an antiqued black with inner silver lip profile.